Norris ‘Buzz’ Johnson, who died on 11 February aged 62, was a well-known Hackney figure, both through his involvement with a number of community organisations and through the independent publishing organisation he founded. 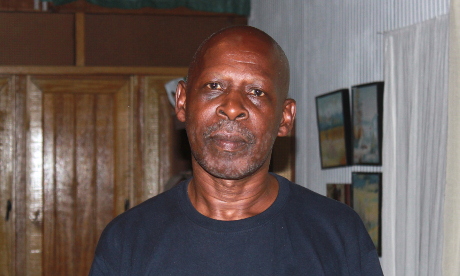 Born in a small fishing village in Tobago, Mr Johnson moved to London in the 1970s, and spent time variously living in Stoke Newington, Clapton and Homerton. He founded Karia Press in the early 1980s, which went on to publish over fifty books. Among the titles published were I Think of My Mother, the story of civil rights activist Claudia Jones, researched and authored by Mr Johnson, and The Broadwater Farm Inquiry, which looked into the riot of the same name. Mr Johnson was instrumental in the formation of the Stoke Newington-based Claudia Jones Organisation, which provides support to African-Caribbean women, and remained an ardent supporter of the organisation throughout his life. Well-known throughout Hackney and the wider African-Caribbean community in London, Mr Johnson also had an established reputation in the eastern Caribbean. Ngoma Bishop, one of the founders of the Black and Ethnic Minority Arts Network (BEMA), first met Mr Johnson in 1983, at a meeting being held to campaign for an inquiry into the death of Colin Roach at Stoke Newington police station. Karia Press subsequently published an anthology containing Mr Bishop’s first written piece, after mainstream publishers failed to show an interest in it. “He was seen by many of us as a pioneer. He was one of the first four, or so, publishing houses that were African-Caribbean-led, and focussed on – not exclusively, but in particular – African-Caribbean literature and writers,” Mr Bishop said. Karia Press became one of the founder members of BEMA, and Mr Johnson played an active role in the organisation in the years that followed. “He came from the same part of the world as CLR James, and like CLR James, Buzz believed passionately that you could achieve through struggle,” Mr Bishop said. Mr Johnson had returned from a trip to visit his mother in Tobago when he died suddenly from an arterial haemorrhage on 11 February. A service in memory of his life was held on 1 March 2014 at All Saint’s Church, Hackney, followed by a reception at the West Indian Cultural Centre in Haringey. Mr Johnson’s funeral took place in Tobago on 11 March.